In 2013, we opened our first studio in Williamsburg and thanks to our dedicated Y7 Tribe, we have brought a newer, bigger, better Y7 flagship to our home neighborhood at 170 S. 1st St. Experience our signature beat bumping, sweat dripping, candlelit yoga you know and love. 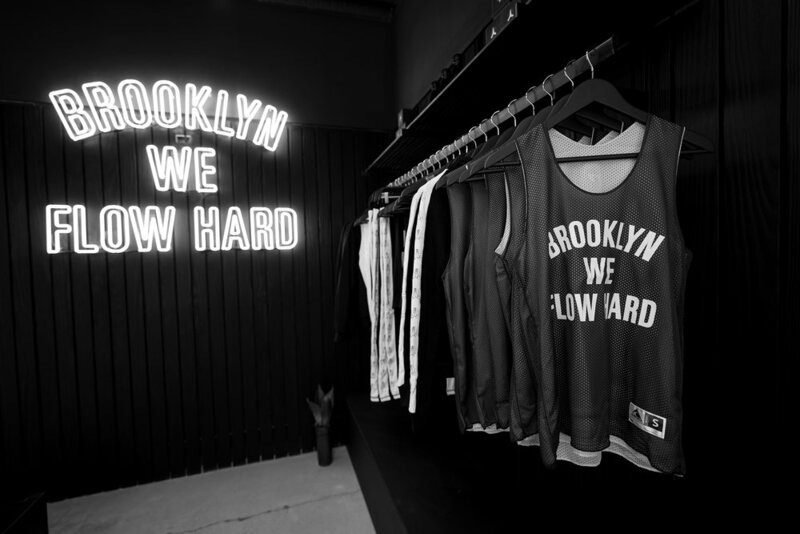 Now upgraded with a new street-level studio featuring showers, lockers, exclusive Brooklyn merch, and so much more. Terms & Conditions: Classes valid at Y7 Williamsburg only. Membership cycle will only begin from the date of your 1st class visit. Memberships are billed on a recurring monthly basis. To cancel your membership, a 7-day notice is required. Hat & keychain will be available for pick up at Y7 Studio Williamsburg.